The old chestnut: “a picture is worth a thousand words” has been around for centuries, but there is a corollary to it. That is: “a picture can tell an astonishing story that no words, however convoluted, can interpret”. The eye of a photographer can paint a compelling story as astutely as a master artist can create a painting. Nowhere is this phenomenon illustrated better than the late Robert Mapplethorpe’s photographic collection of how he viewed women. This from a notoriously gay man most of whose photographs are not for public consumption, but he viewed women with an incredible perception. He took a LOT of varied photographs, now ensconced at the Getty Institute and valued at US$130 million. What he saw in women is a masterpiece of photographic art, catching the female soul most men never visualize. Journalists covering action in Vietnam (or elsewhere) try to paint a word picture in the minds of readers describing what they see. Some more successfully than others as those words are amenable to social or political bias. 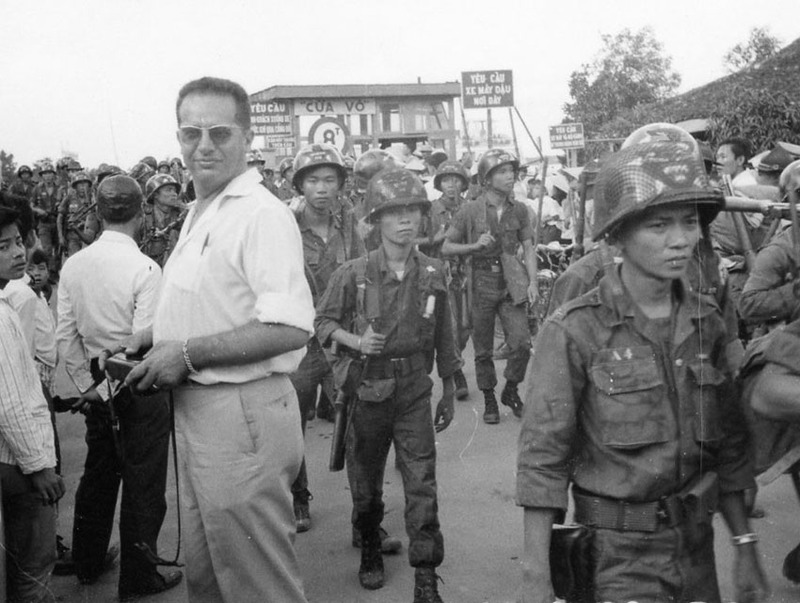 Joe Galloway was successful describing the horror in the Ia drang valley in 1965, but only in prosaic terms requiring the reader to create form and function from that void. The photographer can sift through the billions of visual frames observed by the human eye daily to catch an instant in time that tells an otherwise incomprehensible story. Nowhere is that more apparent than in the volume “Requiem: By the Photographers Who Died in Vietnam and Indochina”. 135 photographers from either sides of the Vietnam conflict killed or missing presumed dead. This book is a memorial to them and their last photographs, a VERY important piece of history that I need to dwell on for many reasons. Those of us that were involved in Vietnam are now in our 60s and 70s and we’re dying out. Soon, no one will remember Vietnam, a fate that awaited a similar political mistake, Korea in the 50s. The mistakes that led to Vietnam still being made today, events that are important and need to be accurately recorded vividly. Today’s young people now largely forget the amazing decade that set the stage for much that’s happening in our culture. I frequently toss out some 60s icons to my young doctors on rounds just to see the reaction. Ha! Usually greeted by blank looks. None of them have a clue of the location of Alice’s Restaurant, visualize that deaf, dumb & blind kid Tommy, recall Timothy Leary, how the Jefferson Airplane, Strawberry Alarm Clock, Moby Grape, Foghat, Creedence Clearwater Revival, The Zombies, The Byrds, Country Joe & the Fish and The Mothers of Invention shaped the culture of the era. They will possibly read accounts of what happened in that era that profoundly shaped our world. The assassination of Jack Kennedy, Robert Kennedy, Civil rights, Medicare and Medicaid, Freedom riders, the assassination of Dr. Martin Luther King, The Berkeley Free Speech Movement, a man on the moon, the Weather Underground and the Days of Rage. These things can easily be rendered so many words or comments from talking TV talking heads, but photographs detail the passion involved in these seminal events, not just the dry details. It’s IMPORTANT to understand the passion behind the words because if they aren’t collected, young people today will never know them. A tragedy, as they are so important to history. When I was in Hanoi in 2012, I visited one of the museums and noted a display of the photographer Robert J. Ellison (1944-1967), killed in action after less than a year in Vietnam. I was absolutely devastated by this display. One of the few known personal photos of Eliison was displayed alone on a wall. I looked at that face for a very long time and I saw the pain and passion to show the reality he saw through those eyes. Rob Ellison landed in Vietnam in early 1967 with no credentials, one duffel and three cameras. He finessed his way out to Khe Sanh on a supply helicopter with a case of beer and box of cigars. On arriving at the violence-infested area, Rob insinuated himself into the full fury of the action, cheek by jowl with the Marine grunts, photographing the action as it happened in the unimaginable fiery Hell that was Khe Sanh in the early months of 1967. Rob was killed when, as a passenger, the C-130 took rocket fire and crashed killing everyone on board. The bodies were not identifiable and are all buried in a mass grave in Missouri. Rob Ellison was 23 years old. The genius of Van Gogh translated to a photographic vision. I stood heartbroken, feeling the vibrations of his urgent passion and what I knew he had to do to seek it out. I had to know him. I went on to collect many of his photos and they spoke to me, as they will for you. Posthumously, Ellison has been rated as one of the top young photographers in the world. The Newsweek edition of March 18, 1968 carried eight pages of photos by him of the battle for Khe Sahn. His photographs were graphic illustrations what the Vietnam conflict was like in real life, not watered down media depictions. Rare female photographer in hot zones, Dickey Chapelle was killed after the lieutenant in front of her kicked a tripwire mortar shell booby trap. Chapelle was hit in the neck by a piece of shrapnel which severed her carotid artery. 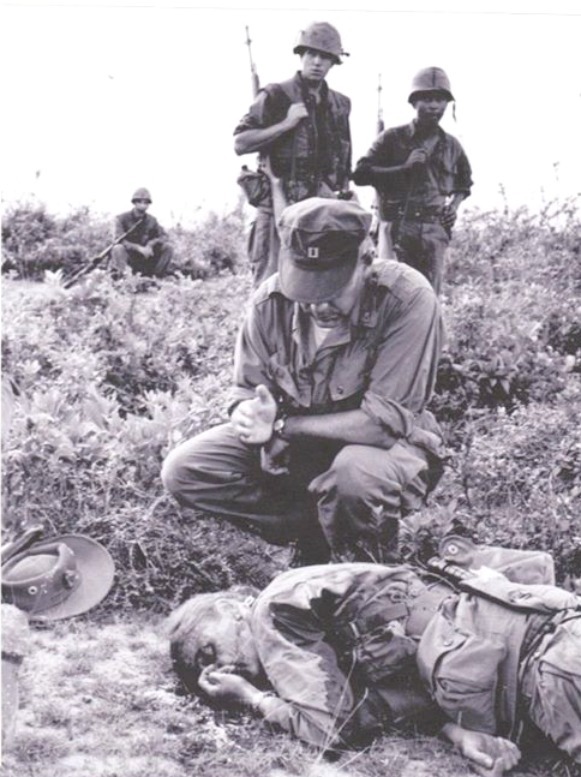 Clip shows Marine Chaplain giving photographer Dickey Chapelle last rites. Larry Burrows covered the war in Vietnam from 1962 until his death in 1971. His work is cited as the most visually caustic photography from the war. One of his most famous collections was published in LIFE Magazine on 16 April 1965. Burrows died in a helicopter shot down over Laos in 1971. The scant remains of Burrows and fellow photographers Huet, Potter and Shimamoto were honored and interred at the Newseum in Washington, D.C.
Robert Capa accompanied a French regiment at the ill-fated battle for Dien Bien Phu in 1954 that should have been a massive red flag for further military adventure in Viet Nam. His photos graphically captured the agony of the futile holdout. On May 25, 1954 Capra passed through a dangerous area under fire and stepped on a land mine. He is buried in Westchester County, New York. The Overseas Press Club created the Robert Capa Gold Medal in the photographer’s honor. It is impossible to understand Vietnam without reading “Hell in a very small place” (The siege of Dien Beien Phu,1954) and “Street without joy” (a clear warning about what American forces would face in the jungles of Southeast Asia). While accompanying a company of the 1st Battalion 9th Marines on Operation Chinook II in the “Street Without Joy” (Thừa Thiên Province) in 1967, Fall was killed after stepping on a Bouncing Betty land mine. There are many others in “Requiem”, many heartbreaking.